A winemaker can make good wines, but the quality of the equipment used can make an amazing difference to the end wine. Stainless steel is easy to keep clean, and offers any winemaker the best chances of producing attractive, clean wines. All good wines start in the vineyard. With good management, and plenty of sun to ripen the grapes, high quality wines can be made. The rest is up to the winemaker's expertise and his winery. Wine has been stored in oak barrels for generations. In order to soften the tannins in red wine, or impart a rich, vanilla flavor in a Chardonnay the benefits of oak storage are immense. Winemaking or vinification | What are the winery processes? The art of making wine has been around for centuries, and enjoyed a rapid growth throughout Greek and Roman times. Having been around for so long since then, it has developed in numerous ways, thanks to the input by the monastries throughout centuries. The monks became skilled at tending their vines and vinifying their wines. 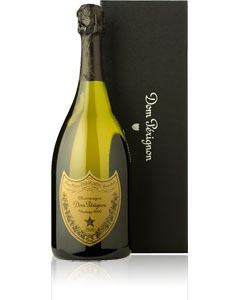 It was a Benedictine monk, Dom Pérignon who is credited with the discovery of Champagne. The famous champagne Dom Pérignon, named after him is the préstige cuvée of Moët & Chandon. With the introduction of stainless steel fermenting tanks partly replacing concrete and wood ones, hygiene levels have greatly improved. As a result, many more wines have fewer faults, resulting in less wastage and higher quality. Winemaking or Vinification as it is known, is one of the oldest and most natural processes in the world. The natural yeasts, which are predominantly airborne and found on grape skins, react with the natural sugars in grapes when pressed, to produce alcohol and carbon dioxide (CO2). The art (and science) of winemaking is to capture this natural phenomenon - called fermentation - under controlled conditions, and so produce quality wine. It's not just the colour of the grapes that makes the wine - it's the way they are treated. It is vital to use clean, undiseased and undamaged fruit, as well as sterile equipment and fermenting vessels, otherwise problems and faults could soon arise. The delicacy of most white wines requires a good balance of sugar (in the form of the fruit) and acidity. Cool climate wine growing from higher altitudes tends to produce white wines with subtlety, while warmer climates tend to produce bigger alcohols with more weight. The grape skins are what give red wine its color. The longer the contact period, called maceration, the more color and tannin is extracted. However, red grapes can produce white wines if they are pressed immediately, and have very little or no skin contact, as whites have. Tannin is an important backbone, which combines with the grape acidity and fruit, to show the style of the region and the individuality of the winemaker. Decisions regarding the use of oak or stainless steel will greatly influence the end result. Made from red grapes with just a small amount of skin contact to infuse the color. These wines are frequently made for early drinking, and are best slightly chilled to be enjoyed on a warm summer's day. This wine type lends itself to warmer climes. . If you can't afford real Champagne, then the sparkling version matches up well. The process, termed 'methode champenoise' or 'champagne method' is carried out all over the world. As only wine from the Champagne region of France can be labelled 'Champagne', all other wines must adhere to these strict rules and call their wines any other name but 'Champagne'. Wine to which alcohol has been added, generally to increase the concentration to a high enough level to prevent fermentation. What makes a fortified wine? What makes a Port sweet and a Sherry dry? What are 'VDNs' and how are they made? Have fun and learn how to make you very own homemade wine. Avoid the pitfalls, pick up tips, and enjoy the end product. Popular red and white grape varieties used for wine production. What are the winery processes? Once the grapes have been picked, most often by hand, but also by machine on very large vineyards, they have to be pressed in order to extract the juice (must). For white wine making the must will be encouraged to ferment as soon as possible, but with reds, the grapes will be left on their skins in vessels - they too will undergo a fermentation at this stage. When the fermentation has finished, the wine must now be removed from the dead yeast cells (lees) to avoid picking up off-flavors. Even though the wine will still be cloudy with some yeast cells in suspension, the racking stage is the start of the clarification process. Home Winemaking - What Do I Need? Very little outlay is needed to make homemade wine. The basic essentials are some vessels to ferment the wine in, some small items of testing equipment, and some materials - such as yeast and sugar. All you need to do is to follow a recipe and make sure you always keep your equipment clean and sterilized. The best wines are made from clean grapes (or other fruit), good winemaking practice and attention to detail.